As the United Kingdom moves to a no-deal Brexit , the European Commission has asked member states to provide temporary residence permits to British nationals, so several countries across the European Union start to reassure British citizens living abroad that for the time being they don’t have to worry and that life will go on as normal. Of course it’s still unclear which former EU residence rights each country will extend to British citizens, but as far as the British expats in Greece are concerned the Greek government took live a website with information based on two scenarios: The UK leaves the EU with a deal, and the UK leaves without a deal. Will it be necessary for British nationals to obtain a residence permit? What will be the steps to take to obtain a residence permit? • If the Withdrawal Agreement enters into force: UK nationals living in Greece before 31 December 2020 will have to apply for the new title required for in the Withdrawal Agreement .They will be able to make the request according to terms and a schedule that will be specified later. 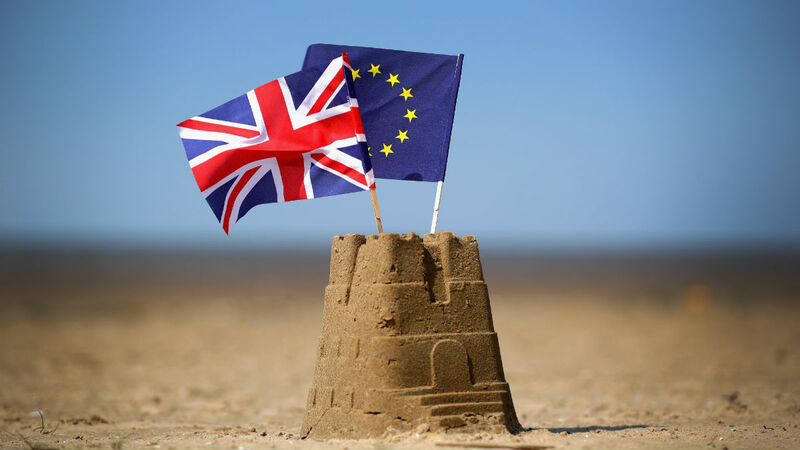 • In case of no deal (absence of withdrawal agreement): UK nationals permanently living in Greece before 29 March 2019 and already in possession of a registration certificate or a temporary or permanent residence document, will be asked to proceed, after 1 January 2020, to the municipal authorities and submit the relevant paperwork, in order to exchange their certificates with new biometric resident cards. A draft bill is currently being prepared on British citizens’ rights in Greece that may include provisions on this issue. UK nationals living in Greece before 29 March 2019 but not registered with the police authorities may need to apply for a registration certificate. After acquiring their registration certificate they will also be asked to proceed to the municipal authorities to submit the relevant paperwork and acquire their biometric resident cards. A draft bill is currently being prepared on British citizens’ rights in Greece that may include provisions on this issue. Will residence permits obtained before March 2019 still be valid after the March deadline? • If the Withdrawal Agreement enters into force: EU titles obtained before 30 March 2019 will continue to be valid during the transition period until 31 December 2020. However, they will have to be replaced by the new title (biometric residence cards) provided for in the agreement. Requests for the new residence cards may be submitted after 1 January 2020, according to a schedule to be specified later. More details will be communicated via the web pages of the Ministry for Foreign Affairs, Ministry for Citizen Protection and Ministry for Migration. • In case of absence of a withdrawal agreement: Residence permits obtained before 30 March 2019 must be exchanged after 1 January 2020, according to a schedule that will be specified later. More details will be communicated shortly via the web pages of the Ministry for Foreign Affairs, Ministry for Citizen Protection and Ministry for Migration. Will a British national, permanent resident in Greece, be obliged to exchange his permanent residence card if he/she changes address in Greece? • With or without Withdrawal Agreement: Any UK national with a residence permit (issued before 30 March 2019) will need to declare his change of address when he/she applies for the new biometric residence card. The date of application for the new residence card will be specified later. More details will be communicated shortly via the web pages of the Ministries for Foreign Affairs, Citizen Protection and Migration. Will residence permits issued in Greece allow mobility in other EU countries? • In the event of the Withdrawal Agreement entering into force: Residence permits issued in Greece will allow free movement in other member-states of the Schengen area for periods not exceeding three months. But they will allow installation only in Greece. • In case of absence of withdrawal agreement: Residence permits issued in Greece will allow circulation in other member-states of the Schengen area for periods not exceeding three months. But they will allow installation only in Greece.